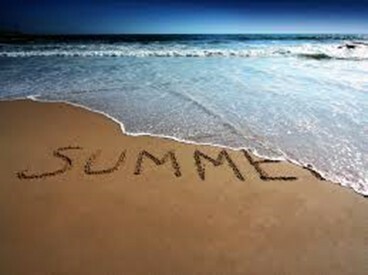 With August practically here, it might not seem like you got much out of your summer. In the upcoming weeks school will be back in session and life will go back to ordinary for many families. If you’re feeling the summer blues then rest assured, because there is still plenty of time to accomplish a few goals before your regular life resumes. These ten ideas will make you feel like your summer was worthwhile, so you can feel more accomplished and ready to take on the rest of the year. So, brace yourself as the next few weeks might fly by, but with these tips on your side you’ll be able to make the most of your time. It doesn’t matter if you have a summer reading list or not. However, diving into a good book and finishing it is a great way to make your summer feel even more accomplished. You can choose from any genre of book too. Perhaps, you want to challenge yourself with a lengthy fiction or sci-fi novel. You might want to check out a self-help book that can add even more meaning to your life. You can even read a text book to bring new knowledge to your world. No matter what you choose, try to allot time every day for reading until you get through your book. Once you’ve finished, you will feel incredible about the achievement especially since most people don’t get through a single book in a year. You can hold onto this summer success to help you power through other goals in the year. Exploring is one of the best aspects of summer. However, if you’re on a tight budget and don’t have a lot of time off then this can be something that is incredibly hard to do. You don’t have to go out of your way to travel far though. If you’re looking for adventure, you can actually find it in your own area. If you live in a city, then try to explore an area that you haven’t spent a lot of time in. You might find new restaurants or hang outs that will make your life a lot more interesting. If you live in a small town and feel like you’ve covered every inch of the town then branch out. Try to explore a neighboring town or head to the city for some fun. No matter how you choose to explore, you’re certain to broaden your horizons. A lot of people tend to move through the last half of the year as if it is a blur. We move quickly from holiday to holiday, which can make time fly and ensure we don’t get a lot accomplished. However, the end of summer is the perfect time to work through a list of goals to help you improve your life for the better. You should consider making goals that will help your personal life as well as your education and career. However, you should make a wide assortment of goals too. Some should be small and easy to meet while others should take a lot of work to achieve. Make sure your goals are realistic as well, because creating goals that aren’t achievable can only lead to disappointment which might set you back. Fresh summer food isn’t here for very long, so you should try to embrace it while you still can. Before you know it, the last of the summer crops will be coming in and the price will quickly increase as autumn harvest begins to dominate. One of the best foods to cheaply buy now is corn on the cob. You can create lots of delicious salads, soups, side dishes and even simply grilled corn for less than you’d imagine. Zucchini, tomatoes, peaches and so much more are also in season during summer, so have some fun with these foods. If you’re looking to save some money then buy these foods in bulk while they’re cheap and freeze them. This will allow you to enjoy summer flavors throughout the rest of the year. Without a doubt, technology totally absorbs our lives at times. However, summer is one of the best periods of time to take a break from social media, games and more. To do a technology detox, simply deactivate your accounts temporarily. You can go for a few days, weeks or even until the end of the year if you’re enjoying yourself. You might find that you have a lot more time on your hands without social media taking up your spare time. You can also set times to shut off the electronics in your home. There are some cities that even offer rewards for doing this during peak hours, so it might be fun to embrace this little challenge. Of course, you can always return to your old way of life, especially when school is back in session, but until then try to enjoy the world around you. One of the best things about summer is you can actually get outside and sleep under the stars because the temperatures aren’t too cold. This can be one of the most fascinating experiences, especially since it allows you to explore the skies and see that the universe is truly a huge place. Sleeping under the stars doesn’t have to cost you a fortune either. In fact, you can easily do it for free in your own backyard. Simply pull out your sleeping bags or gather a bunch of blankets and pillows to enjoy your night. You might find that enjoying Mother Nature without technology is one of the most rewarding experiences. Of course, you can take your trip a little further. For instance, if you live in the city then you might plan a small camping trip to help you enjoy the night sky even more. Without a doubt, summer is one of the best times to take in a movie. There are so many blockbusters to choose from that you might even consider watching more than one. A trip to the movies can be one of the most memorable experiences during the summer. However, it can also be pricey. If you have children, then try to choose one of the free days to take the kids. Many cinemas will also do promotions like $5 Tuesday to draw people in. Of course, you can always get more for your money by taking the whole family to the drive thru. This usually allows you to get in two movies for less than you’d spend at the theater. Often, theaters will space out movies so the first is a child’s movie while the second will suit the needs of adults. By the time the second movie is on most young children will be too tired to sit through it. You can also just stay home and rent a movie. There are many releases hitting the stores now that will still make your summer exciting. Summer is one of the best times to get out in the garage or storage area and sort through all of the junk that you don’t necessarily need or want anymore. Once you’ve cleared everything out, you can easily organize a garage sale to earn some extra money. Try posting signs around the community and sharing on social media, so you can draw in a crowd to get rid of your things. Not only will this help you clear up more space during the winter time, but it will also help you to earn money that can be used for the holiday season or the excess heating costs for the winter months. It might not seem like a proper summer if you haven’t taken the time to go swimming. It doesn’t matter if you’re hitting the local pool, or hanging out by the lake, river or beach. You should try to take a dip whenever you can. Swimming is a great way to blow off steam, so by the time you head back to your ordinary life you will feel relaxed and ready to handle anything that comes your way. On top of that, swimming is the perfect way to get into shape and feel more confident about your body. Of course, the best thing about swimming is it is a lot of fun. So, get in the water a few more times before summer ends, so you can get the most out of the season. Right around this time frame, all of the amazing summer clothes you wanted at the beginning of the year will be on sale. This will allow you to finally get the items that were too expensive to buy prior. Shopping summer clearance can also be a great way to stock up for the next summer and even add a few new items to your yearly wardrobe. Tees and tanks can be incorporated into every day wear, so you can get more out of these items than you’d expect. Simply pair them with a cardigan or other outer layer and you’ll have a hot look for autumn and winter. You still might want to check out items like bathing suits, shorts and even sandals though so you won’t have to worry about shopping next year. Of course, shop a size or two up for children so they’ll have a fresh new wardrobe when next year rolls around. Since summer is practically over for many households, these tips should provide you with everything you need to get back on track for the upcoming year. You should be able to have a bit more fun while adding memories to the year that your whole family will cherish. Best of all, these tricks won’t cost you a small fortune.